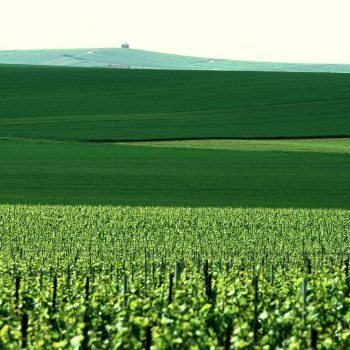 Champagne has been hit by another bout of bad weather with hailstorms reported to have damaged nearly 2,000 hectares of vines – with 3% of vineyards in the Champagne AOC completely destroyed. “So far 1,800 hectares have been damaged of which 1,000 have been 100% destroyed, representing three percent of the total Champagne-growing area,” the Comité Champagne said on Wednesday, as reported by The Telegraph. The damage translates to the equivalent of around 8 million bottles of Champagne, worth an estimated €125m. However provision of reserve wines mean that the damage is unlikely to result in any future short fall. “Of course storm and hail are not unusual phenomena in Champagne, but what is rare is to see them at this very early stage and with this level of violence,” said Champagne Committee communications director Thibaut Le Mailloux. It follows a fierce hailstorm that lashed parts of Bordeaux and Cognac late last week. In Bordeaux, hailstones as big as eggs fell on Friday 26 May in a 15 minute downpour, hitting the city of Bordeaux itself, across part of the Haut Médoc and Entre Deux Mers and then hitting Bourg and Blaye on the right bank of the Gironde Estuary. Around 7,100 hectares were affected in total, about 6% of the total surface area of Bordeaux, with some 3,400ha suffering extreme damage. Bourg and Blaye seem to have been the worst hit, with 5,500ha hit overall and 3,000ha very badly struck; while 1,200ha in the Haut Médoc were hit, 400ha badly, and around 400ha were hit in Entre Deux Mers. More serious damage has reported in Cognac where around 10,000ha were affected. The president of the General Union of Cognac Winemakers, Christophe Véral, told The Times it had been a “catastrophe” and a crisis meeting was likely to take place this week.